By Daniel Greene - Lifestyles Editor · January 28th, 2019 at 3:42 p.m.
Increasingly, people are turning to mobile apps for solutions to their mental health problems. Mental health apps are becoming an increasingly popular way for people to access mental health care any time, anywhere, and for relatively cheap. 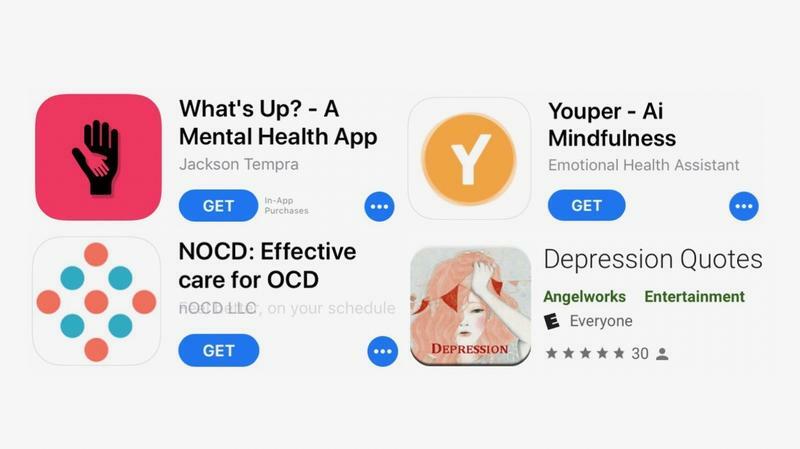 Here I have compiled a short list of some of the most popular apps intended to support those in need of mental health care. All of these apps have received positive reviews and can be installed for free. One of the greatest features of What’s Up is its expansive and non-judgemental forum. The app does not allow users to like threads or see the number of views any given thread has received. This keeps the app fairly neutral and discourages egotistical behaviour and thoughts. With many of the apps I tried out, the number of functions available quickly ran out and things quickly became boring and ineffectual. What’s Up, on the other hand, has tons of features. To name but one example, its ‘Get Grounded’ exercise encourages users to enjoy the present moment rather than worrying about the past or the future. The app also offers quick and simply-written tutorials aimed at helping users understand mental health problems such as anger, anxiety, depression, and low self-esteem. Youper takes the form of a personal, mobile therapist. Users start out with a fairly in-depth and personal question and answer session which allows the app to establish a baseline mental health profile. Depending on the mental health issues specific to the individual user, the app will investigate risk factors related to family, friends, work, and substance use. This app does require the user to create an account, but after that it offers a number of therapeutic tools, including meditation and relaxation tutorials. The previous two apps are fairly intensive. They require the user to give a lot of information and to really interact with the apps in an active way. This app, on the other hand, takes a more passive approach. The app allows the user to choose from four quote categories ranging from empathetic and emotionally rending quotes to more positive, optimistic, and life-affirming ones. One of the most attractive qualities about this app is its mood—laid back, unassuming, and peaceful. For some, merely typing into an app and reading advice off of a screen is not enough to alleviate the symptoms of mental health disorders. That’s why many counsellors offer their services over video chat. Making appointments for mobile therapy sessions allows individuals to receive professional therapy while remaining in the comfort of their own homes. And since it can be done just about anywhere, it becomes much harder to talk yourself out of doing it. The doctor’s office may be on the other side of town, but you can get their services in your living room. Though it will certainly cost more than a free app, the added intimacy and convenience offered makes mobile counselling extremely effective for many people.